Another month, another set of new feature launches: this time the longform blogging platform Medium announcing ‘Series‘, a “new type of story”, then days later Facebook announcing its ‘Messenger Day‘ feature. Last month it was Instagram‘s Carousel feature and WhatsApp‘s Status feature. What all have in common is the almost unquestioned use of a horizontal storytelling mode: a move from scroll-based navigation to navigating through a swipe or a tap. This entry was posted in online journalism and tagged Flipboard, Instagram, Instagram Stories, Medium, Medium Series, narrative, NowThis News, sequence, series, SnapChat, Snapchat Stories, Tap For News, Twitter Moments on March 20, 2017 by Paul Bradshaw. Whatever happened to the audio slideshow? Remember the audio slideshow? Once one of the most compelling editorial formats – and a truly web-native one at that – it is now rare to see them on a news website. And a whole wave of audio slideshow work is starting to disappear from the web. The page for BBC’s Jazz junctions – riding New York’s A Train now lacks the audio slideshow it once held, while The Guardian is awash with pages showing gaps where a slideshow should be – like After the riots and Timbuktu’s ancient manuscripts (both from 2007), error messages about Flash (from 2010 and 2011) – or no pages at all in the case of Shrimp fishing in the Wash or Somalia’s refugee camps. A search on the New York Times Chronicle tool shows a spike in mentions of audio slideshows at the end of the last decade. After 2010 they aren’t mentioned at all. This entry was posted in online journalism and tagged audio slideshows, BBC, Flipagram, Guardian, ITV, New York Times, SnapChat, Snow Fall, Telegraph on December 13, 2016 by Paul Bradshaw. ¿Cómo producir contenido noticioso para Snapchat? ¿Es posible calcular estadísticas de audiencia? ¿Qué sentido tiene invertir recursos y tiempo en producir contenido que va a desaparecer en 24 horas? Estas y otras preguntas aparecen respondidas en “Snapchat para periodistas”, una guía que detalla cada uno de los recursos de esta red social y cómo aprovecharlos en estrategias de publicación. El libro, escrito por el periodista y profesor británico Paul Bradshaw, incluye muchos ejemplos de las cuentas de Snapchat de medios de Estados Unidos y Reino Unido, como el Huffington Post, la BBC, The New Yorker, CBS, Fusion y Mashable, entre otros. La traducción al español incluye algunas capturas de pantalla de canales de medios latinoamericanos, además de las del original. Aunque el uso de Snapchat no está tan extendido en redacciones de habla hispana, hay algunos medios que mantienen cuentas, como Perú 21 y Todo Noticias (Argentina). Además de ilustrar buenas prácticas, los ejemplos también documentan una parte de la historia de los usos de la plataforma –que puede ser útil especialmente para quienes no lleven mucho tiempo usándola. El texto cubre todas las opciones técnicas (grabación de video y sonido, edición de texto, uso de lápices y filtros, etc. ); estrategias de producción y diseño narrativo; almacenamiento de estadísticas de audiencia; algunos consejos útiles para construir una red de amigos; y otras funcionalidades más sofisticadas para usuarios avanzados. 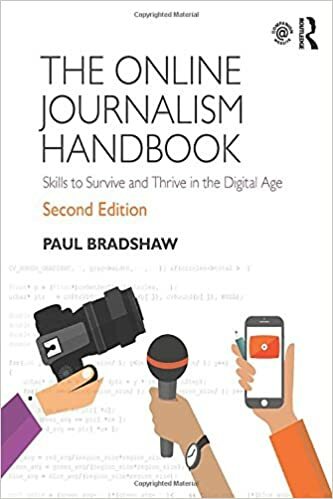 Paul Bradshaw es autor de varios libros sobre periodismo, incluyendo otros dos disponibles en español: “Excel para periodistas” y “Periodismo de datos: un golpe rápido”. 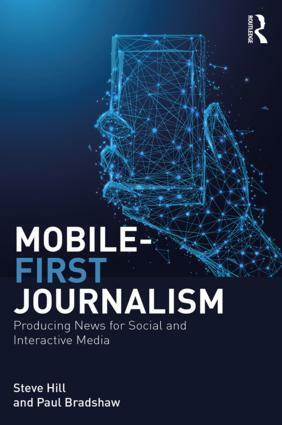 This entry was posted in online journalism and tagged Barbara Maseda, ebook, SnapChat, Snapchat for Journalists, Snapchat para periodistas, spanish, translation on December 9, 2016 by Barbara Maseda. This entry was posted in online journalism and tagged facebook, Instagram, Medium, Platishers, SnapChat, tumblr, twitter, youtube on December 1, 2016 by Paul Bradshaw.